It seems not a day goes by without a new online casino joining the already crowded gaming scene. As competition increases, it gets more and more difficult to stand out and add value, and it’s so very refreshing to see a newcomer pull it off. Simple and transparent, Ojo lives by a ‘what you see is what you get’ attitude, a claim which is supported by every single element of their impressive offering. Born in 2017, PlayOjo is a SkillOnNet gaming venue which will astound you with a huge selection of games, creatively executed promotions and friendly payment terms, all available within a safe environment vouched for by the UK Gambling Commission and the Maltese Gaming Authority. Landing on this colourful site, the first thing I notice is the claim: “A new, fairer online casino. No wagering. No BS.” And I instantly develop a liking for this cheerful outlook which welcomes me with a smile. How could I not, as just below the promotional banner Ojo immediately offers assistance by asking: “What can I help you find amigo?” Now, it’s not my habit to quote half of the content on the landing page, but I want to demonstrate how differently Ojo communicates to players, managing to very quickly create a feeling of trust. And I keep trusting, faced with a simple site structure which looks easy to master. The main menu continuously present on the left allows you to check out games and promotions, find out more about the brand and ask for assistance. Everything else you’d like to know can be learned via links available at the bottom of the page, but before you start exploring, make sure to watch incredibly entertaining video showing why Clint decided to quit Ojo. Ojo’s welcome package consists of 1 Free Spin for every £1 you deposit, up to 50 free games. This is clearly not the most generous welcome offer around, but it does have something others do not: no wagering requirements attached. Whatever you win, you get to keep! 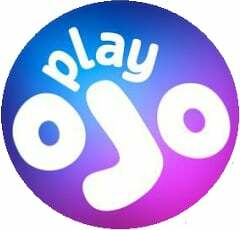 Ojo dishes out kickers left, right and centre, with daily promotional offers giving you more play for your money. You’ll get to claim Free Spins, bonuses, exclusive promos, free prizes and some other treats. If you don’t think that’s anything to write home about, check out Ojo’s Specials. OjoPlus gives you free money every time you play, and in this particular case you can genuinely consider it free, as it’s paid straight into your real money balance. How lucrative a game can be is indicated by the number of OjoPlus icons it displays. The Ojo Wheel is another one of the special offers. You’ll get to spin one of the three wheels each time you reach a certain level, and while Wheely Easy guarantees you’ll win (smaller amounts), The Wheel Deal comes with an element of risk, but also with larger prizes. Are you for Wheel? offers even bigger rewards, along with a bigger chance to lose. Once again, whatever you do manage to win is paid in cash, no strings attached. Club Ojo is in place to reward loyalty and functions pretty much like standard comp points scheme, giving away better and more perks the higher up you go. It additionally provides an opportunity to become one of the Ojo A-listers and have an A-list Manager tailor special offers according to your tastes and preferences. There is yet another way to land yourself some free games. Join daily live tournaments and finish in the top 3 after the Reel Spinoff time has elapsed, and you’ll win a cool Free Spins Package plus whatever winnings you’ve picked up while spinning. Ok, so the list of available payment methods is not the longest one I’ve seen, but it does include all my favourite options. Visa, MasterCard, Maestro, Skrill, Neteller, PayPal , Paysafecard, Entropay and EcoPayz all come with a minimum deposit amount of £10, and withdrawal limits set at £20 min and £10,000 max. I notice that each banking method has a fee attached, and suddenly I’m not smiling any more. What does make me feel better is learning that Ojo has outlawed waiting times and will process withdrawal requests instantly. When it comes to games, I love being spoilt for choice. And Ojo does a pretty good job offering me a chance to pick from about 600 casino games provided by NetEnt, Microgaming, NextGen, BallyWulff, Barcrest, Aristocrat, Amaya, Blueprint Gaming, WMS, Evolution, Lightning Box, Merkur Gaming, and SkillOnNet. I’m not sure, perhaps I even missed a couple. In any case, loads of featured developers guarantees a good variety of games. Mainly slots, though. The good news, as far as I’m concerned, is that Ojo doesn’t ask me to download anything in order to play (I’ve already got way too many casino software installed on my PC). Games come complete with an info button which tells you pretty much everything you’d want to know before launching one, and try-for-free tab allows you to play even if your balance is zero. When you see NetEnt and Microgaming on the list of providers, you can be sure to find Gonzo’s Quest, Jack and the Beanstalk, Immortal Romance, Thunderstruck II, and other oldies-but-goodies. But it doesn’t mean you’ll be stuck with titles played zillion times already. More recent NetEnt releases include FairyTale Legends, Warlords, Wild Wild West, Divine Fortune and Jungle Spirit, while Microgaming refreshes the library with the likes of Fruit vs Candy, Life of Riches, and Emperor of the Sea. During your visit to PlayOjo, I’d suggest you try some of the games one rarely sees elsewhere. Hot Wheels from SkillOnNet, for example, a great looking video slot which comes complete with appropriate rock ‘n’ roll music background. Scattered energy drinks will put you in adrenaline mode and award free spins, while wild biker multiplies your wins by up to x100. Another good title from the same provider, Limo Party, exposes you to a great design once again. 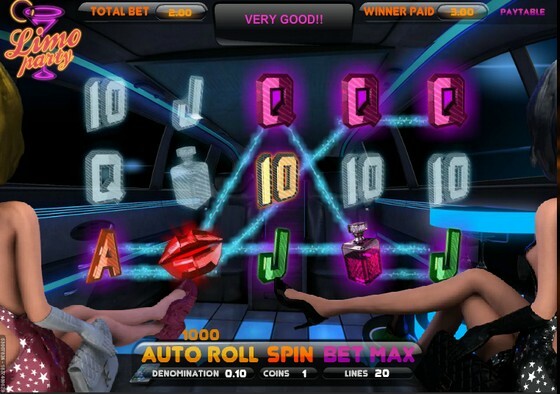 Driving in a posh limo, squeezed between two long-legged ladies, enter party mode and you’ll see one of them send you kisses, while the other rolls the dice to determine the size of your multiplier. 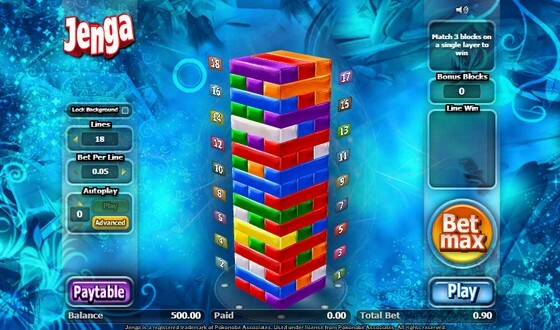 To experience something different, launch Jenga slot. You’ll win by making lines of coloured Jenga blocks, with additional prizes awarded for each extra block of the same colour. Magic block randomly transforms surrounding ones to those of same colou r, while layer bombs destroy and replace up to 8 layers of the tower. Advanced Search feature comes very handy when facing a collection of 500+ slots, and Ojo lets you filter the games by provider, volatility level, number of paylines and reels, themes, symbols and features. Absolutely fantastic! 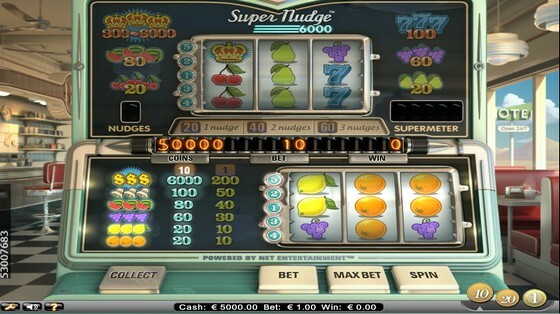 There’s actually not that many old-school games, but those looking to feel as if playing a one-armed bandit in a land-based casino, will surely enjoy NetEnt’s Super Nudge 6000. Double Triple Chance from Merkur, Aftershock Frenzy by WMS and Space Arcade from SkillOnNet are some of the other 3-reelers catering to traditionalists. If you want to experience the best of both worlds, try out Barcrest’s Cash Stax. It’s a simple game with standard 5×3 structure and 10 paylines, featuring classic symbols such as noughts & crosses, bars and sevens. It additionally offers a wild jester and a scatter which awards free spins and potentially multiplies your wins. So you’re dreaming about striking it big with little effort? Well, you’ve come to the right place. Mega Moolah, Arabian Nights and Major Millions have the potential to turn you into a multi-millionaire in just one spin of the reels. Though I wouldn’t frown on winning 6-figure jackpots offered by Mega Fortune, Millionaire Genie, Millionaires Club III, and King Cashalot. Altogether, Ojo’sprogressives display around 10 million jackpot value. Not bad, right? Where live dealer games are concerned, the one name I absolutely want to see is Evolution Gaming. They are the kings, no doubt about it. Did you know the company has won title of the EGR B2B Live Casino Supplier of the Year for 7 years in a row? Hardly surprising if you’re familiar with their impressive range of live games, intuitive interface and a variety of features. 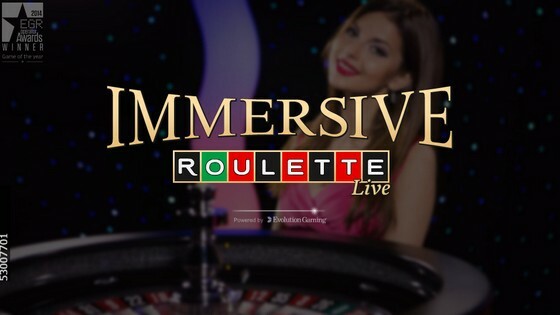 Courtesy of Evolution, you’ll get to pick among 7 Live Roulette tables and more than 30 (!) Blackjack games with an option to bet behind, take a seat at one of 5 Baccarat tables, or face a live dealer in Casino Hold’em with an optional bonus bet which offers payouts of up to 1000:1. Ojo will actually allow you to view the game even if you’ve got no cash in your account, which is a great way to get a feel for it and decide whether you want to place real money bets. Ok, so this section of Ojo’s library is not as impressive as what I’ve seen so far. European, French and AmericanRouletteare easily found elsewhere,Blackjackportfolio consists of only 4 games, and if you’re into Poker, you’ll get to play either Casino Hold’em or Let It Ride.Baccarat, Punto Banco and Casino War is all you’ll find on top. Again, not the best populated part of the site. There are only 6 variants to choose from, including Jacks or Better, Joker Poker and Deuces Wild. Clearly, Ojo is not targeting Poker fans. … nor the fans of any other casino game. If your poison should happen to be Bingo, Keno, Scratch Cards and the likes, move on, nothing to see here. Ojo has set up a unique way to help you get around your new gaming home. A fun trailer is supplemented by a decent list of FAQs, and if the two don’t manage to answer your question, several options are available for contacting the Casino directly. 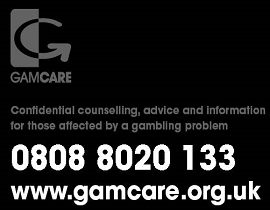 Friendly and knowledgeable support crew will reply to your email, pick up a phone or chat live, whichever your preference. There are no working times indicated and Ojo claims the crew is there to help you out day or night. I’ve truly enjoy the desktop experience and will be genuinely disappointed if Ojo on-the-go delivers less. While my preferred option to access mobile sites is always via the browser, this gaming venue also caters to those who worry about downtimes by providing iOS and Android apps for download. So, having launched the Casino on my Android tablet, I’m greeted by the familiar smiling face. 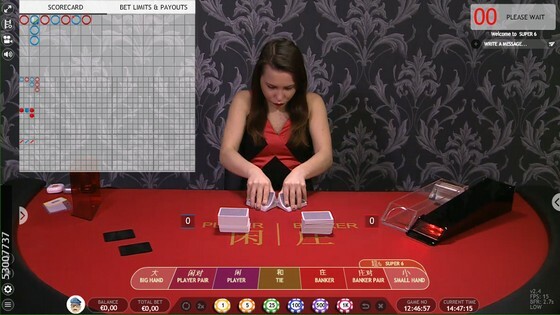 Homepage looks well adapted to a smaller screen, and a collapsible menu opens a selection of 200+ slots, several table games and a couple of Video Pokers, along with an equally impressive choice of live dealer games as on desktop. There are so many things to like about Ojo. Transparent and honest, user-friendly, rewarding you each time you play and asking nothing in return, it’s quite a unique gaming proposition. Super-fast payouts are equally appreciated, and same goes for an amazing choice of slots and live casino games. The portfolio could use a boost when it comes to other games, but that’s about all I can possibly criticise this newborn for. Great start, Ojo, keep up the good work!